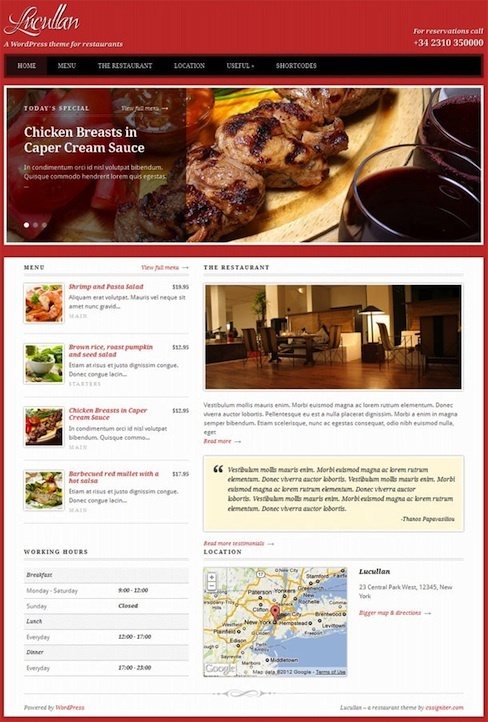 Lucullan is the perfect WordPress theme for restaurants and bars. Set it up and show us your menu, your daily special and don’t forget your location. Features include business hours, food menu cards, google maps integrated, contact page, image slider, shortcodes and more.